Dosojin are folk deities believed to protect local residents and travelers from evil spirits. They are usually placed on village borders or roadsides. Our neighboring city, Azumino, is famous for its dosojin statues. More than 500 of these stone markers are scattered about this area. Actually, there is the one in the Shinmai Media Garden. 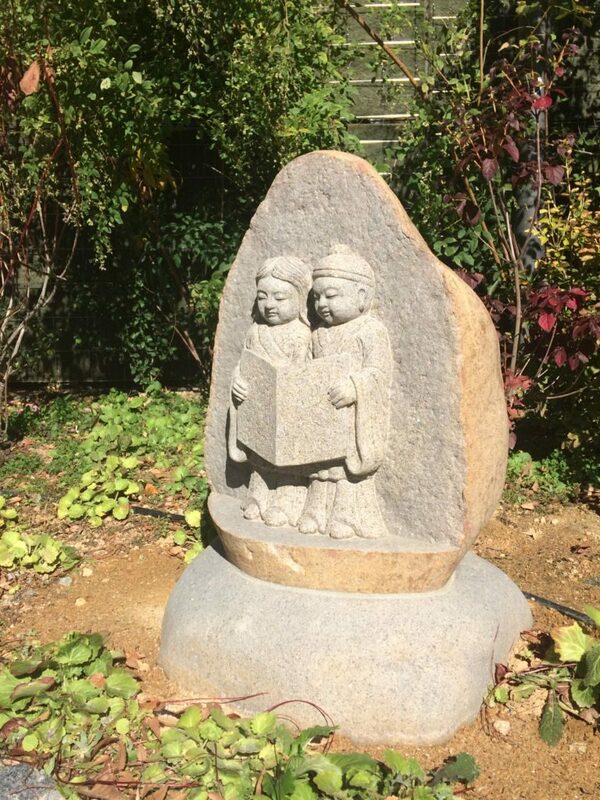 Since this building is owned by the local newspaper company (the Shinano Mainichi Shinbun), the dosojin statue placed here features a happy couple reading a newspaper!